Save money by booking a Wheaton travel package. Just pick your favorite options and Expedia will do the rest. Would you like to earn savings up to C$590*? Buy your package deal on Expedia today! With more than 400 partner airlines and 321,000 properties to pick from on our extensive database, you won't have any trouble planning your dream vacation. Need more time to decide? There is no extra fee from us for changing almost any reservation. It can be really nice to just stroll around the streets in a new place, but sometimes it's a wise idea to make a plan. 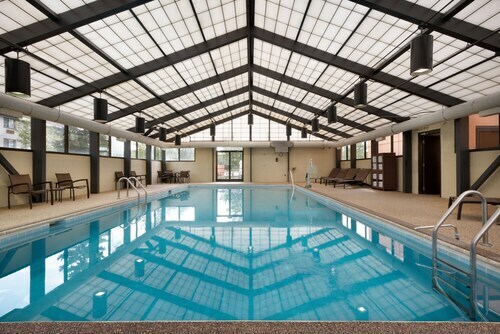 Grab your schedule — we have lots of cool ideas for your upcoming Wheaton vacation. Over the years, many great minds and trailblazers have studied within the walls of Wheaton College. 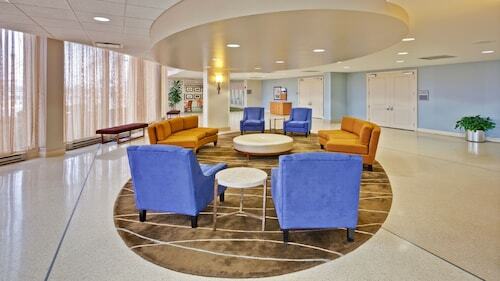 Learn about its history and achievements, and walk through the campus during a tour. Travelers have a wonderful selection of things to do in this destination. History is the ultimate teacher. Drink in the knowledge and learn from times gone by at Dupage County Historical Museum. Still have time on your hands? Many say that knowledge is power. With that in mind, you'll definitely feel more powerful after spending some time at Billy Graham Center Museum. Unfortunately, it can be quite tricky to find accommodations in the heart of Wheaton. But, if you're happy to journey a little further out, there are 38 properties. Expedia has luxury getaways and cheap vacations to suit all travelers. At the Embassy Suites Chicago Naperville (1823 Abriter Court) and the Residence Inn by Marriott Chicago Bloomingdale (295 Knollwood Dr), you'll be able to enjoy a soft bed and a steaming hot shower — just what you'll want after a long day! Let's be honest, no one gets really excited about spending time in the airport. However, if you start envisioning the fantastic trip to Wheaton that is awaiting you, it becomes less grating. After all, you'll be only 13 miles (21 km) northeast of your destination when the plane hits the tarmac at O'Hare International Airport (ORD). Situated near the airport, this hotel is within 1 mi (2 km) of Ned Brown Forest Preserve and Heritage Park. Arlington Lakes Golf Club and Metropolis Performing Arts Center are also within 3 mi (5 km). 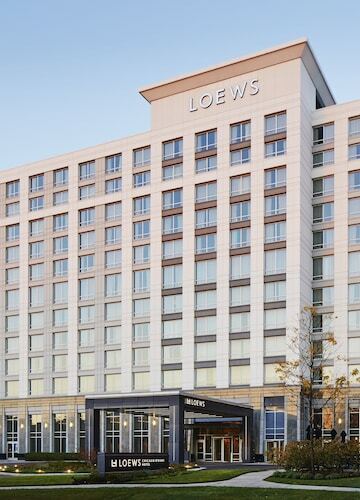 Only 30 minutes by car from downtown Chicago and 5 minutes from highway I-88, Hyatt Place Chicago/Lombard runs a free shuttle to Oakbrook Center mall, 2.5 miles (4 km) away. 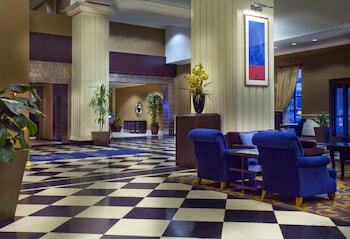 Chicago's Magnificent Mile is a 30-minute drive, and Chicago O'Hare International Airport is 18 miles (29 km) away. 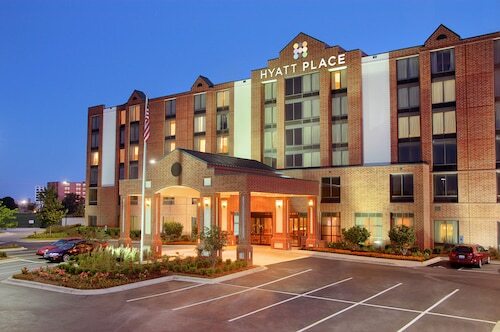 Hyatt Place Chicago/Hoffman Estates is an 8-minute drive from the massive Sears Centre Arena, and 10 minutes from Woodfield Mall, the largest shopping facility of its kind in Illinois. 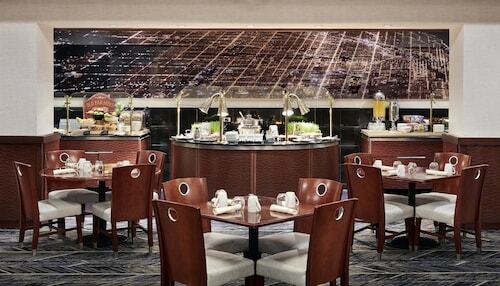 It’s a 20-minute drive to O'Hare International Airport, and 40 minutes to downtown Chicago. Pearson Intl. - O'Hare Intl. Vancouver Intl. - O'Hare Intl.